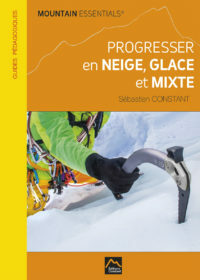 Voir le panier «MOUNTAIN ESSENTIALS – MARCHER sur un GLACIER Niveau #1 Initiation» a été ajouté à votre panier. 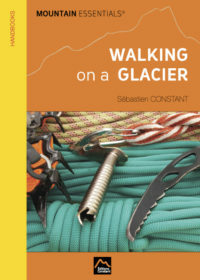 Stitched back, paperback cover with a fabric finish, round corners, 96 pages (170 g), full colors, A5 Format, Printed on chlorine-free paper (FSC accredited) using vegetable inks, 150 illustrations and 150 diagrams, 25 scenarios. 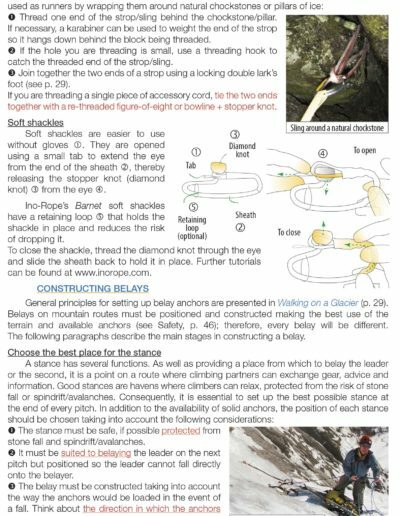 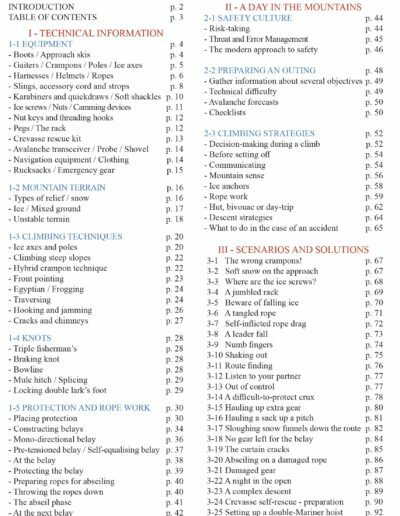 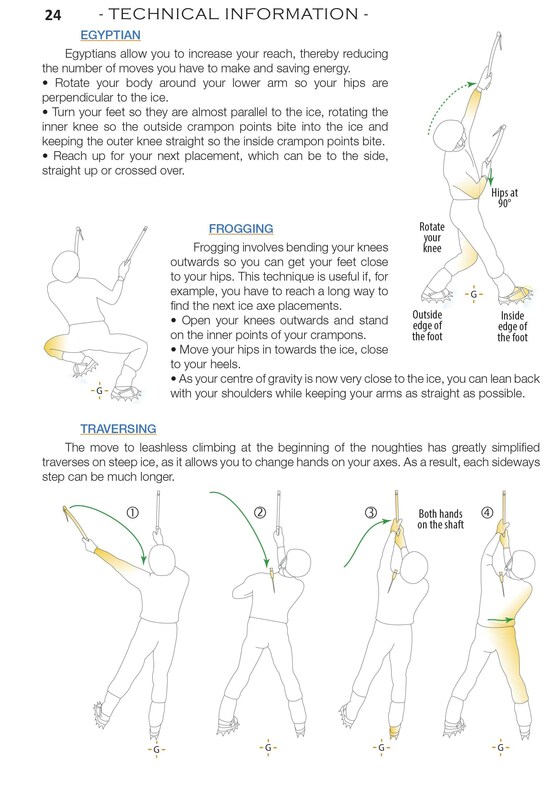 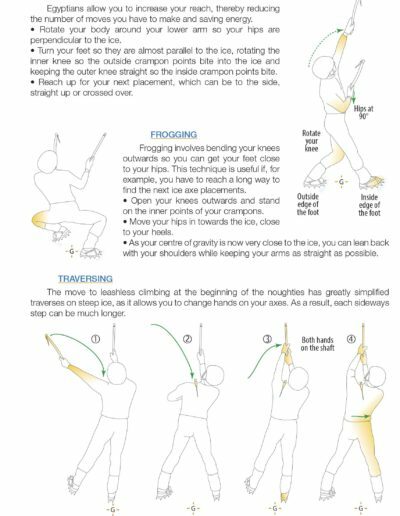 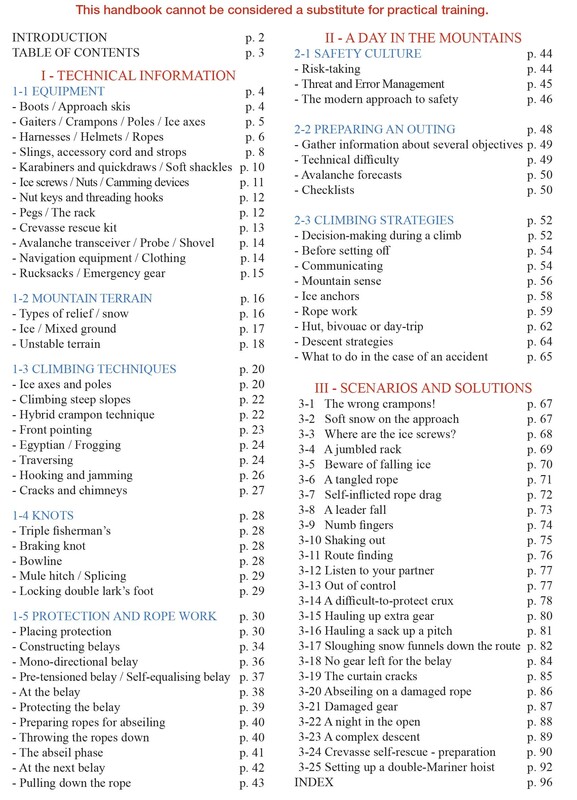 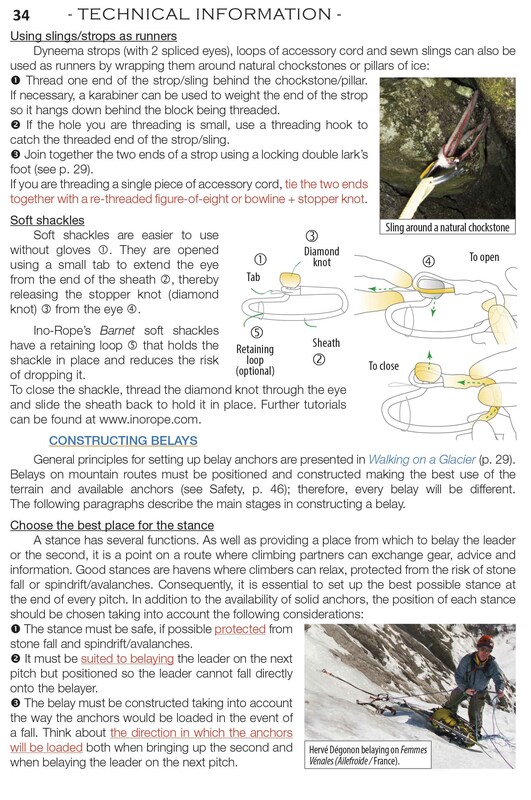 This technical hanbook (instructional guide) is aimed at all mountaineers looking to safely and confidently tackle more difficult gully, ice, mixed and ridge climbs. 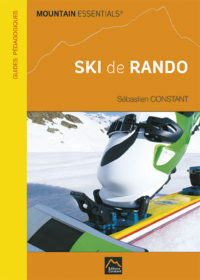 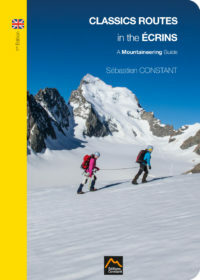 It presents all the skills and techniques needed to get the most from your days in the mountains, as well as providing numerous tips on how to recognise potential hazards and avoid the most common mistakes. 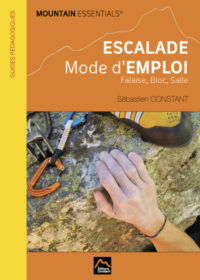 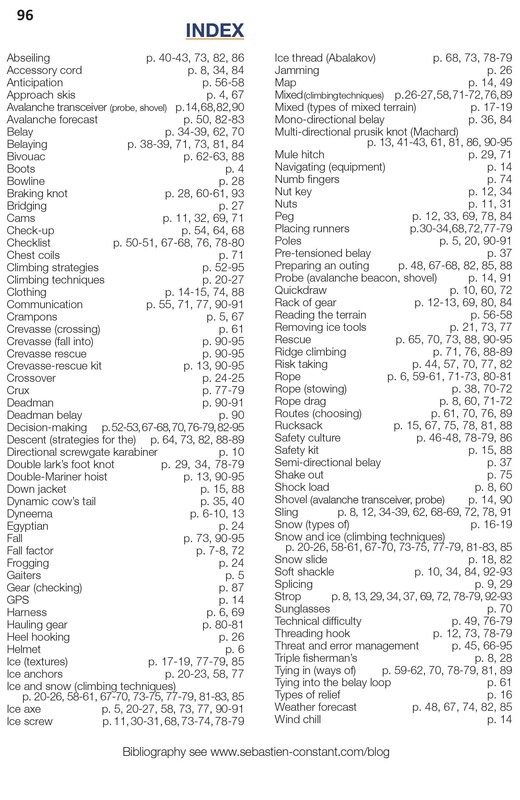 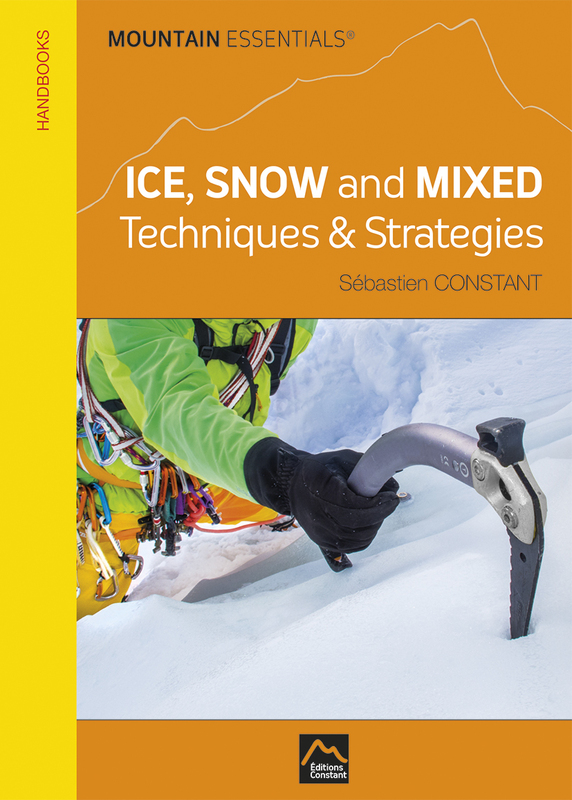 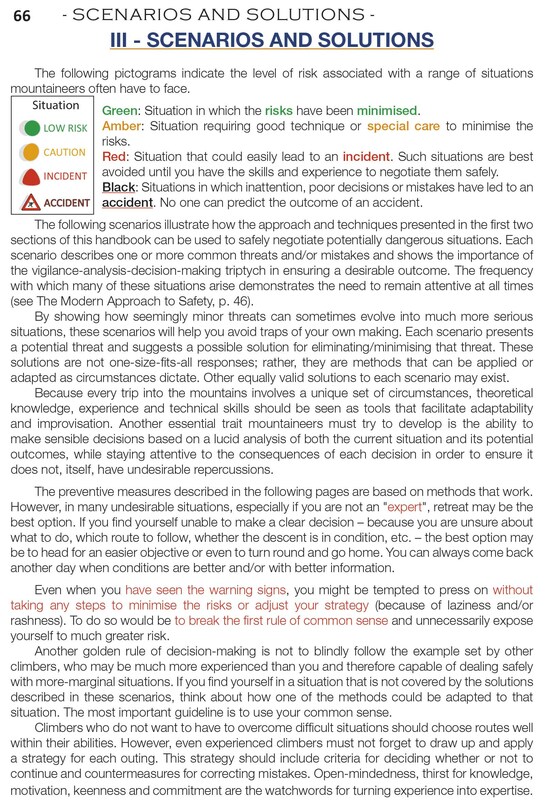 Combining a novel approach to mountaineering with descriptions of concrete scenarios, it will help you climb more safely and adapt your decisions to the prevailing conditions. 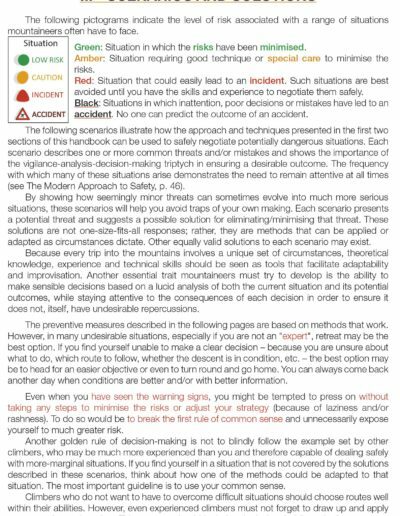 Scenarios are really concrete. 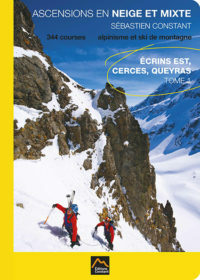 The weight of the book is very light (165g), so it’s esay to take it in refuge. 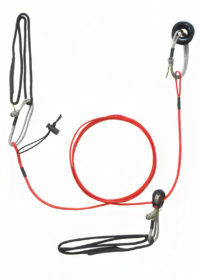 I’ve introduced new Dyneema materials coming from the sail (Dyneem soft shackle, Dyneema strop). 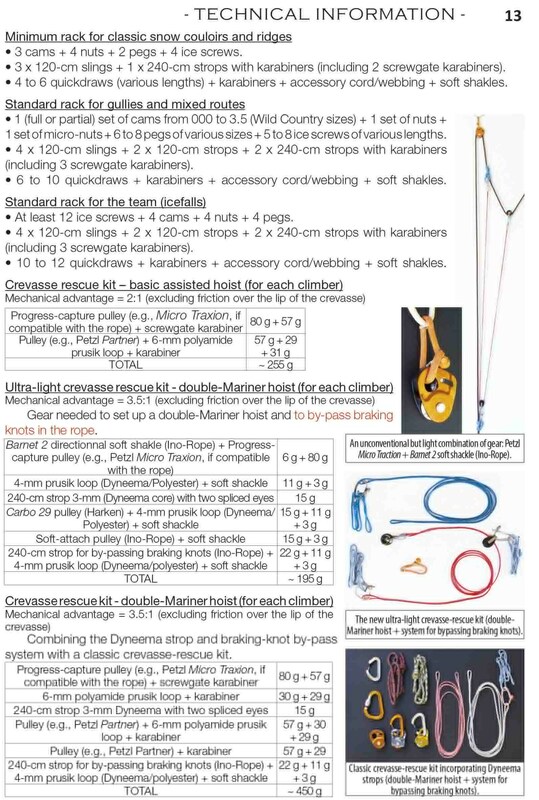 Theses new product are made by Ino-Rope which is a specialist of rigging and splicing. 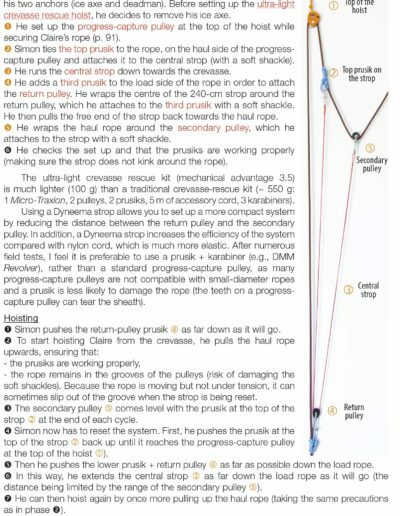 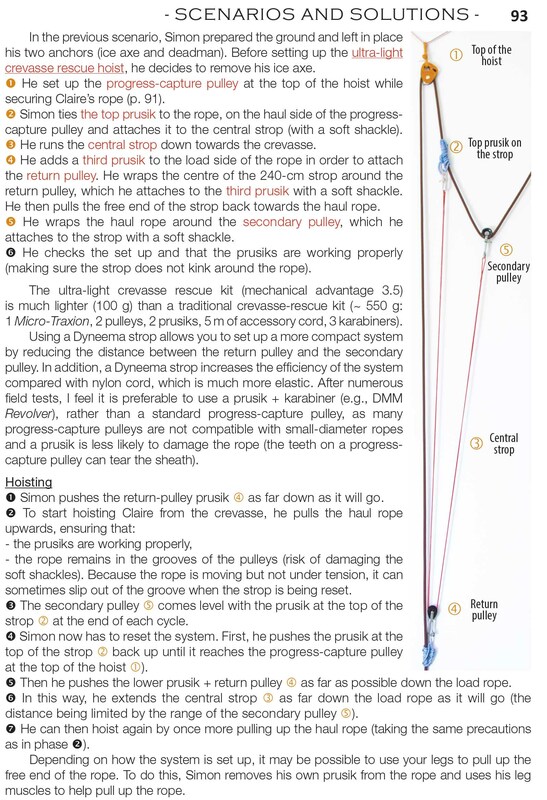 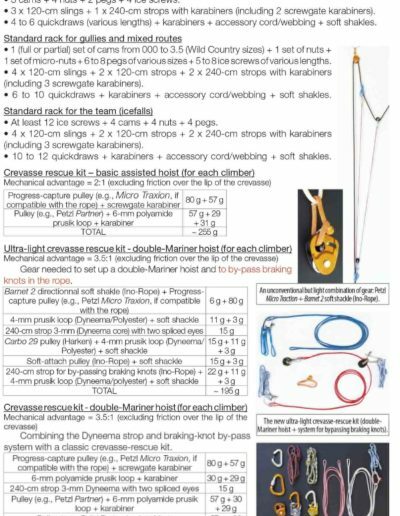 I’ve designe a new UTLRA-LIGHT Crevasse Rescue Kit (reduction system for double-Mariner hoists) which include a by-passing braking knots system: It is The RESCUE KIT – Mountain Essentials.